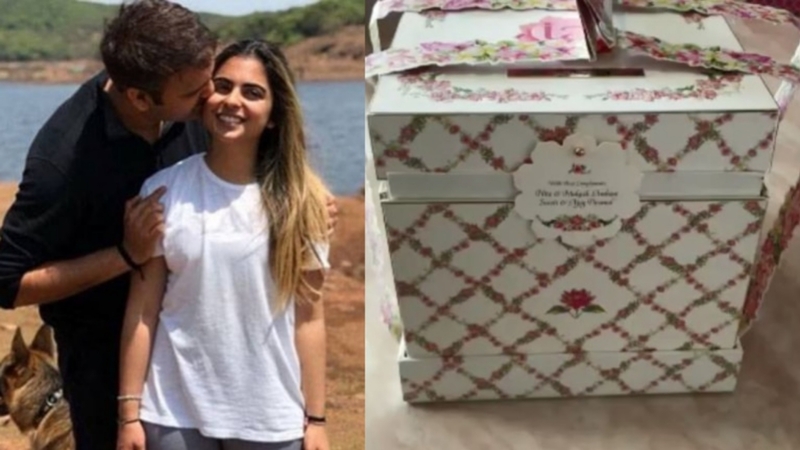 Mukesh and Neeta Ambani's daughter Isha is all set to marry Anand Piramal next month. 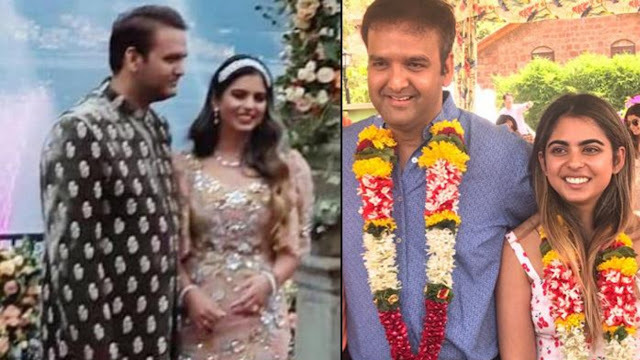 Given the grand status the Ambanis and the Piramals enjoy, it is expected that the wedding will be an extravagant affair. In fact, the families have already started sending the lavish invitations to their closed ones. We got our hands on the invite, and we are in awe. 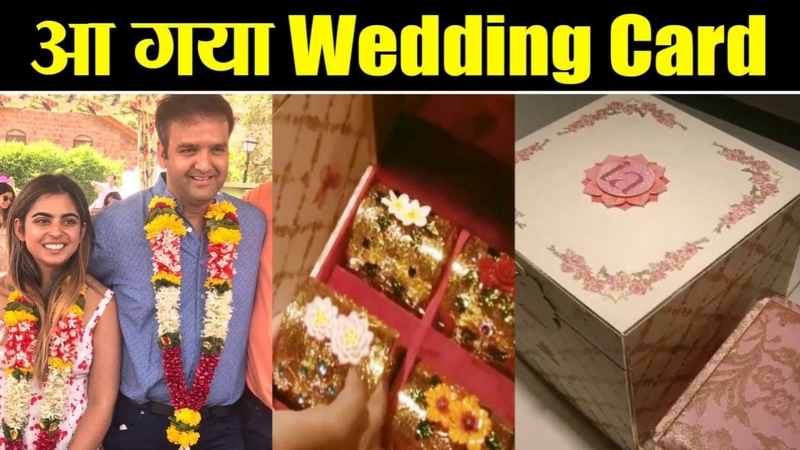 A video going viral on social media shows Isha-Anand's wedding invitation card packed in an exquisite box. The box has the couple's initials on it. The wedding invite has a diary whose first page is dedicated to the couple's grandparents. The second page features a prayer for Goddess Gayatri, followed by a message from Isha and Anand's family. The guests will not only get a wedding invitation but a special gift too. The gift is basically a small box that has golden embroidery. The gift contains four mini boxes which have pictures of Hindu Gods and Goddesses, reports said. The first box contains a picture of Goddess Gayatri and one can hear the Gayatri Mantra while opening the box as well. After the opulent engagement at Lake Como, Italy, Isha-Anand will tie the knot at Ambani's Mumbai residence. The wedding will take place on December 12 as per Indian traditions. The pre-wedding ceremonies will be held in the royal city of Udaipur. 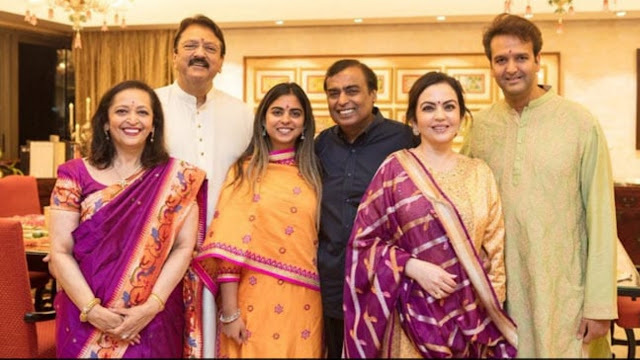 While the families are gearing up for the wedding, Mukesh Ambani reportedly visited Kedarnath to seek blessings.